We apply the country-aggregate principal component (PC) analysis method to the World Values Survey (WVS) data to produce a more accurate culture map of different countries. The first two PCs that form the orthogonal axes of the map, account for 70.3% variance which is 31.2% higher than the corresponding PCs utilized in maps made available by the WVS. Six temporally unique maps are generated corresponding to the six WVS survey waves conducted sequentially from 1981 to 2014. We have established that countries adhering to secular-rational and self-expression values also exhibit better scores in Corruption Perception Index, Global Innovation Index and Human Development Index. Their societies are generally more prosperous, happier and enjoy a more stable rule of law. We have also found that over the period of 33 years, countries have tended to move towards regions of greater self-expression in the culture map. On the other hand, country locations in the map show no significant degree of correlation with literacy rate, country population and population density. J. L. Euste and C. Saloma. 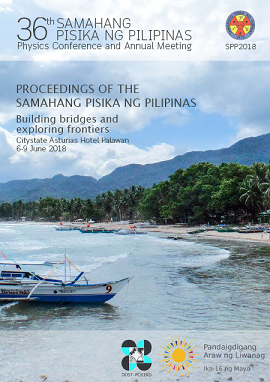 Spatio-temporal dynamics of cross-cultural variations, Proceedings of the Samahang Pisika ng Pilipinas 36, SPP-2018-1B-04 (2018). URL: https://paperview.spp-online.org/proceedings/article/view/SPP-2018-1B-04.